Chief Moore began his fire service career in 1992 with the Hualapai Valley Fire District/NACFD in North Kingman. He served as the NACFD Fire Chief for 71/2 years. He is a graduate of Grand Canyon University with a Degree in Public Safety Administration and Arizona State University as a Certified Public Manager. He is certified as a CEP, Hazardous Material Technician and Fire Service Instructor. 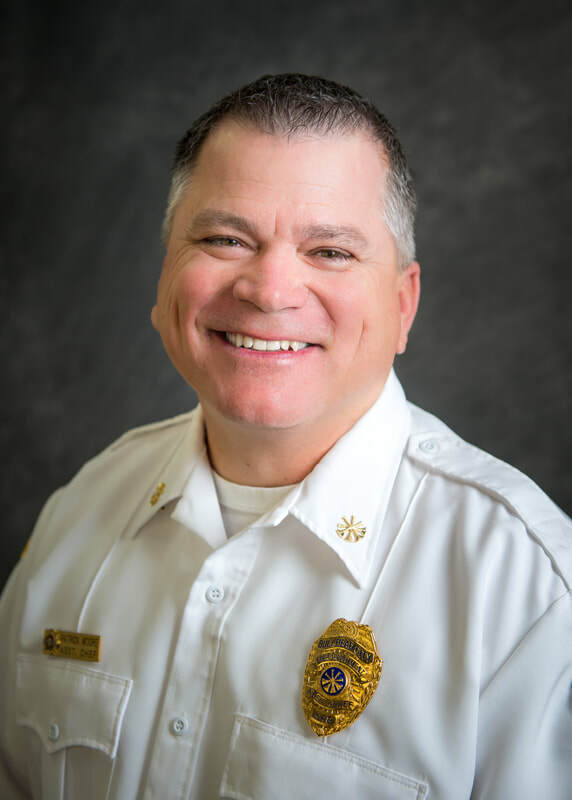 During his fire service career, he has been the Arizona Fire District Association representative for Western Arizona, appointed as a member of the State Fire Safety Committee and the immediate past president for the Arizona Fire District Association for Board Members and Chief Officers. Chief Moore and his wife, Kelly, have 4 sons who keep them active in sports ranging from PAC 12 to high school athletics. His hobbies include outdoor activities ranging from golf, bass fishing and hunting.